Namchi Chardham Pilgrim Centre has a most important temple of 108 feet height on which is established the 87 feet high statue of Lord Shiva. Apart from this there are also replicas of the twelve Jyotirlingas, to offer one platform to worship for the devotees of Lord Shiva. A statue of 16½ feet height of Lord Kirateshwar is also installed in this place. 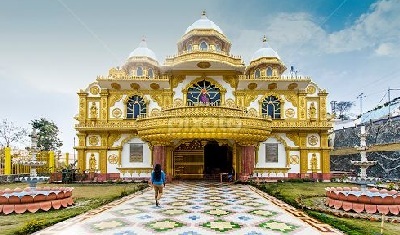 As per the Hindu belief in order to attain Moksha, one has to perform pilgrimage to all the existing four Dhams, hence, replicas of these four Dhams, namely Badrinath, Jaganath and Dwarka dedicated to Lord Vishnu and Rameshwar, dedicated to Lord Shiva is also been built in the same premises. 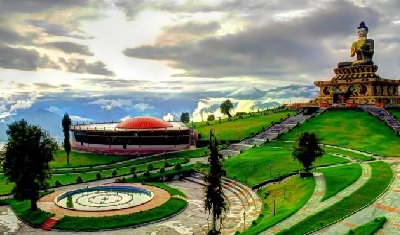 The pilgrim centre is constructed in an area of 28.958 Hactare of land on top of the Solophok Hill just 5 kilometers from Namchi town. The whole complex is divided into four key elements, viz., (1) Shiva Statue with 12 Jyotirlingas, (2) Char Dham, (3) Sai Baba Temple and (4) Kirateshwar statue as well Nandi bull the ride of Lord Shiva, Sai dwar, Sai Temple, Kirat dwar and Shiv Dwar. 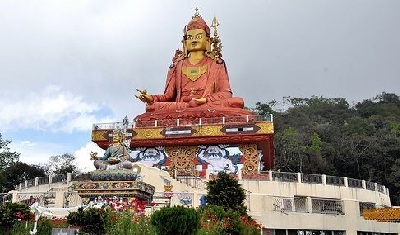 We are proven to be the best taxi service provide in namchi chardham Sikkim. 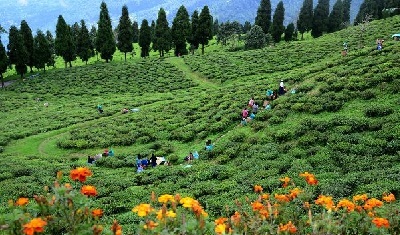 We provide - NJP to namchi chardham Taxi Services, Bagdogra to namchi chardham taxi Services, Gangtok to namchi chardham taxi services fare, Siliguri to namchi chardham taxi services, Kalimpong to namchi chardham taxi services, Darjeeling to namchi chardham taxi services, namchi chardham to Zuluk cab rental, namchi chardham to Darjeeling cab rental, namchi chardham to Kalimpong cab rental, namchi chardham to Siliguri cab rental, namchi chardham to NJP cab rental. We also provide packege tour over namchi chardham. Indian : Indian tourists visiting Namchi Chardham do not require permit to visit. 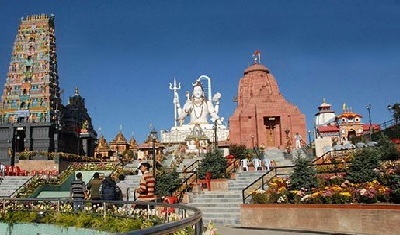 Best time to visit Namchi Chardham is during the 12 months in the year. Most of the roads remains closed during the month of July, August due to heavy rainfall and landslides.